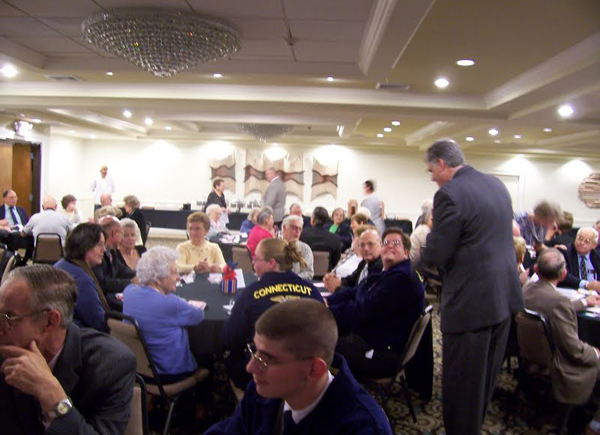 Scholarships and Agriculture Award Winners were formally announced, as well as guest speakers from Connecticut Agencies were the highlight during the Connecticut State Grange Pre-Session Banquet, held on October 14, 2009 at the Comfort Inn and Suites in Meriden. 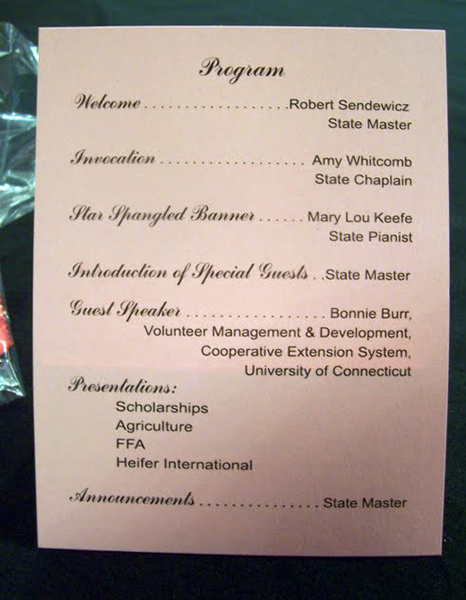 The Pre-Session Banquet kicks off the 125th Annual Session of the Connecticut State Grange. 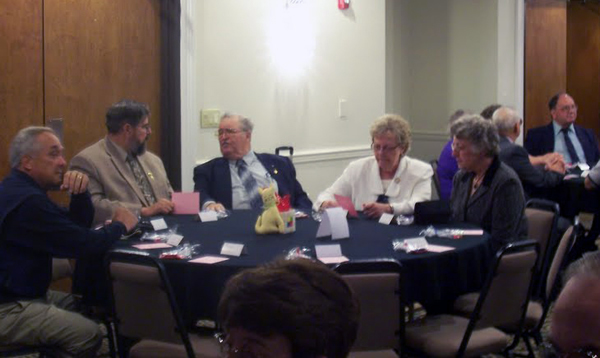 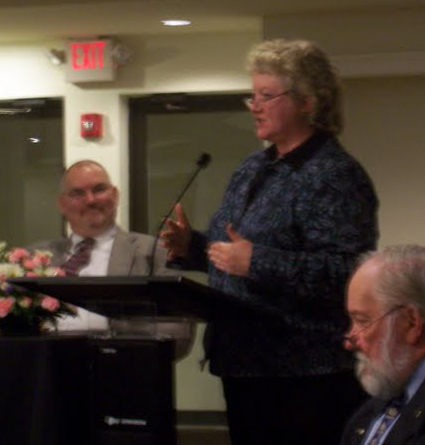 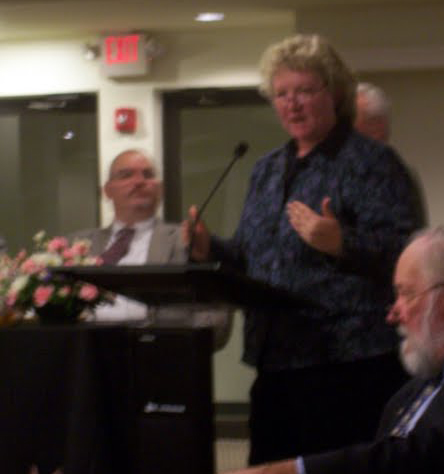 After a meal of roast eye round of beef and chicken cutlets was served, the evening featured guest speaker Bonnie Burr, Volunteer Management and Development, Cooperative Extension System, University of Connecticut, who spoke on today's challenges in Agriculture. 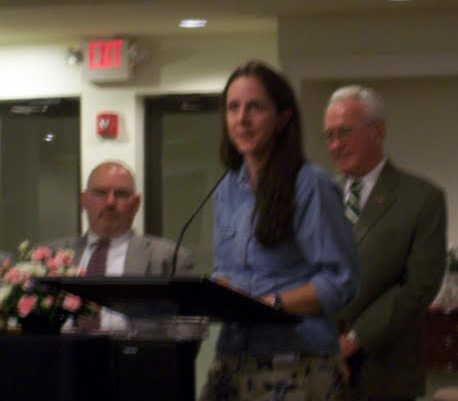 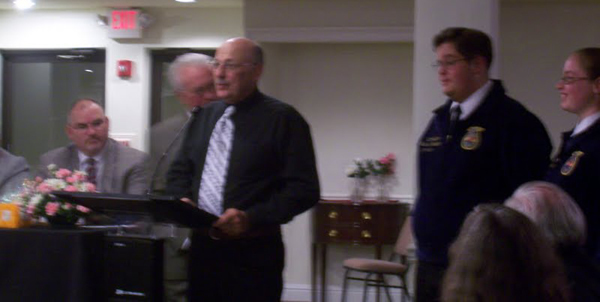 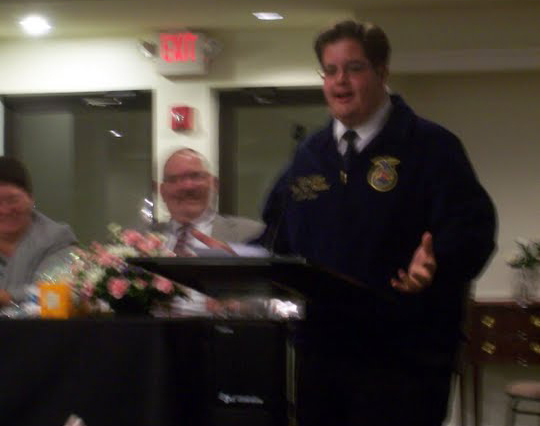 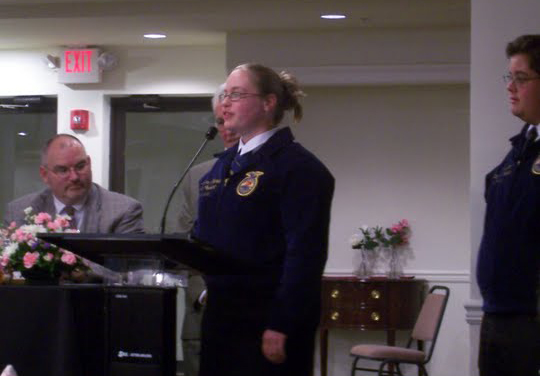 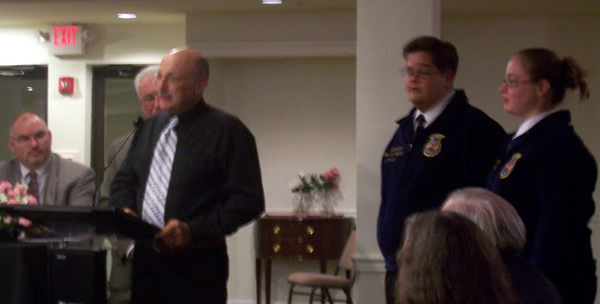 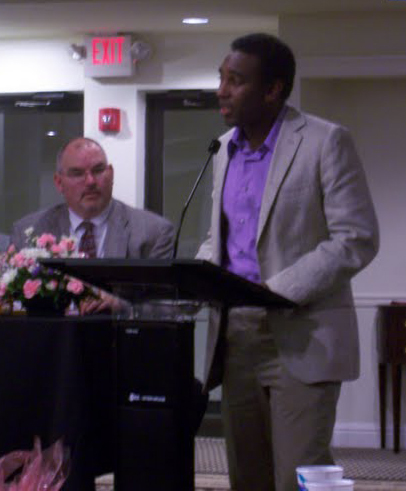 Other guests spoke throughout the course of the evening, including the new Director of Camp Berger, Dorian Lockett, Connecticut FFA President Rebecca Whitehead and Vice President Victor Salazr, and a representative from Heifer International. 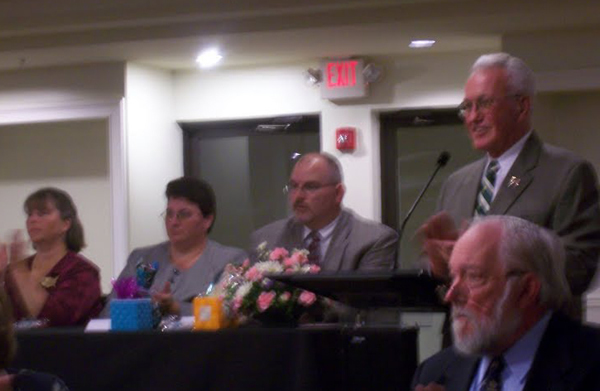 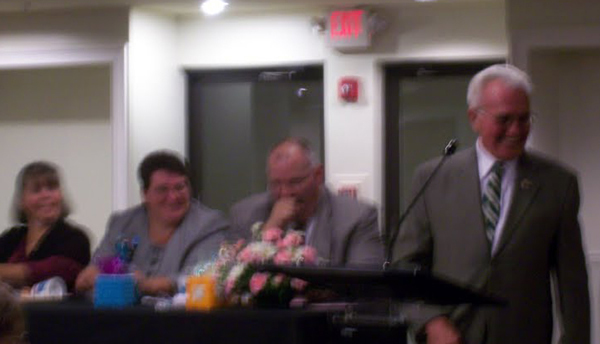 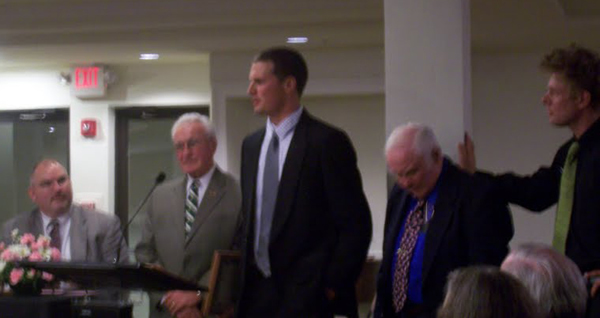 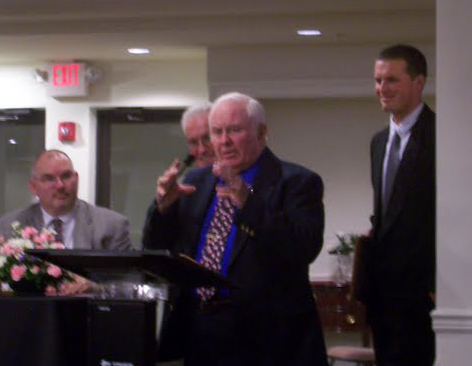 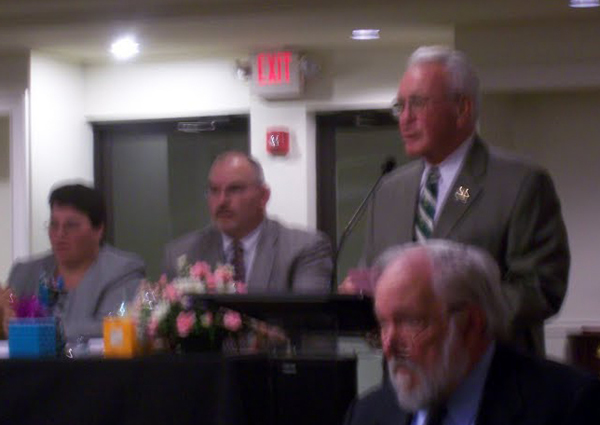 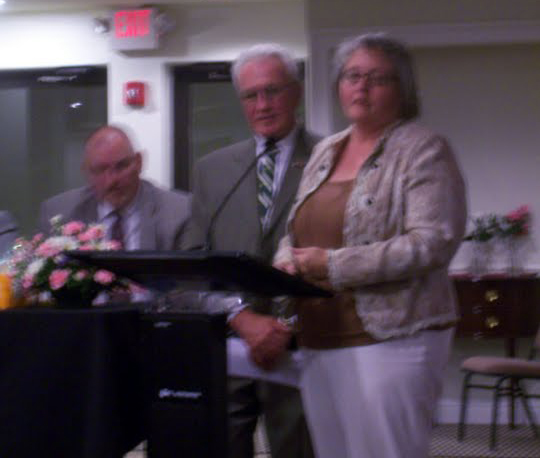 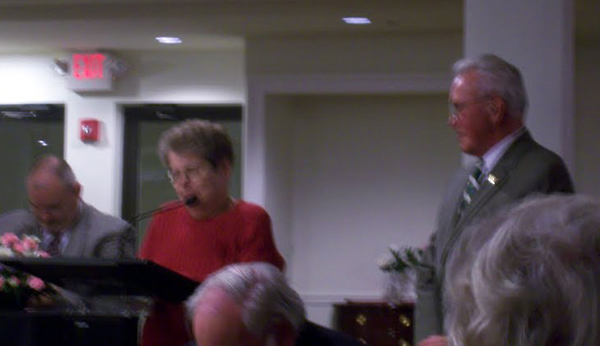 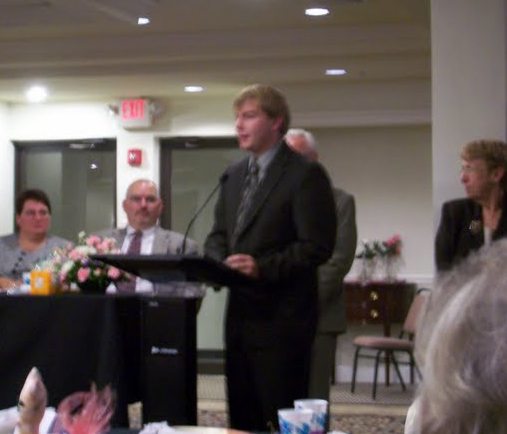 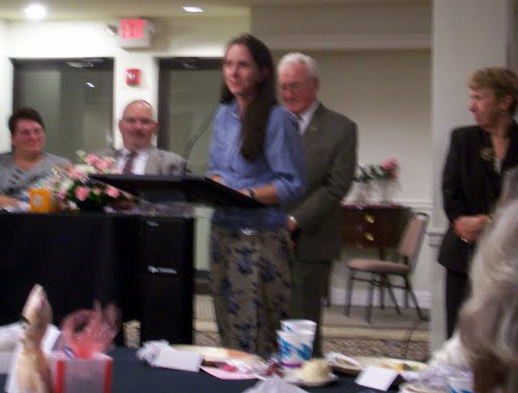 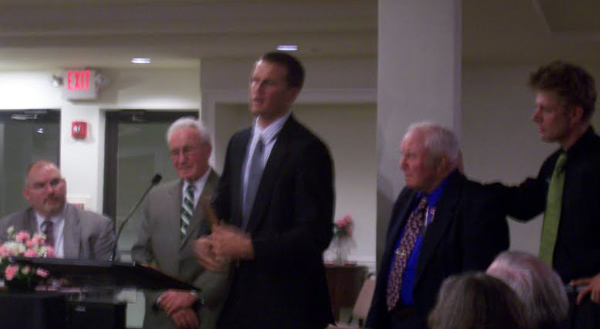 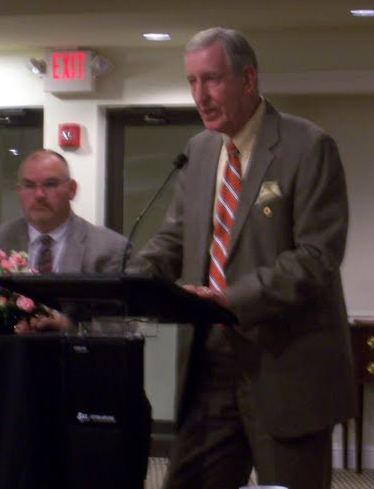 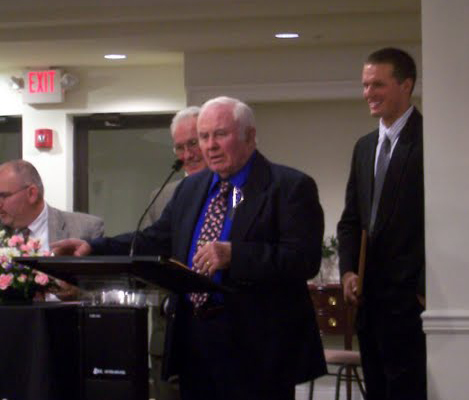 John Waterhouse represented the Scholarship Committee, and introduced the 2009 recipients. 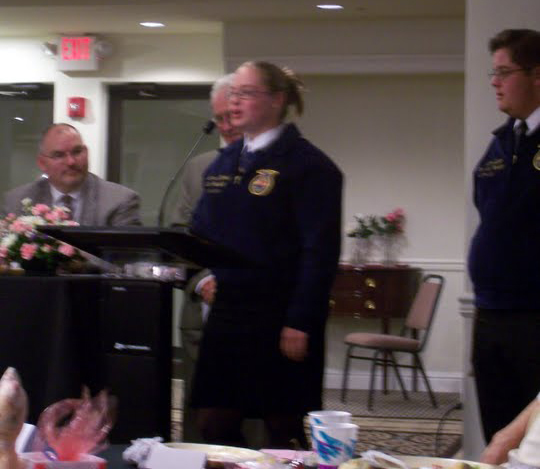 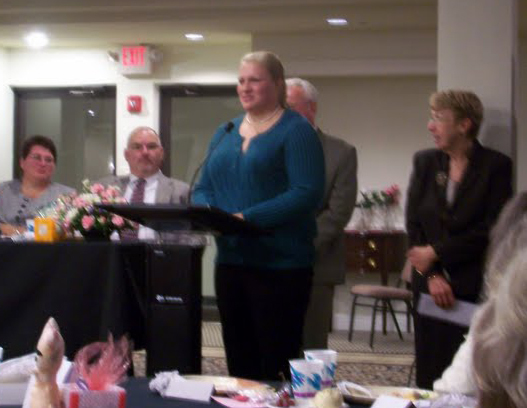 Ashley Hermonot from Ekonk Community Grange, Jeffrey Lewis from Hillstown Grange and Jennifer Schirmer from Vernon Grange were all presented with Scholarships from the Connecticut State Grange. 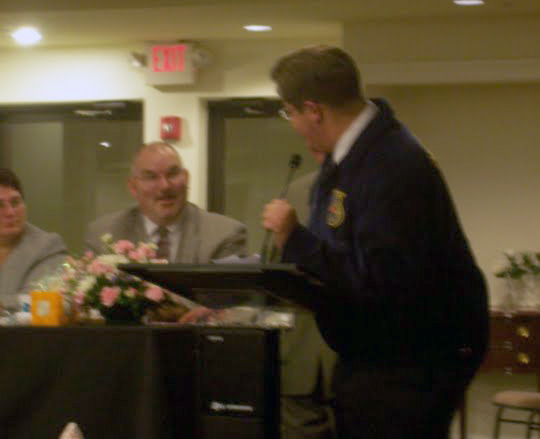 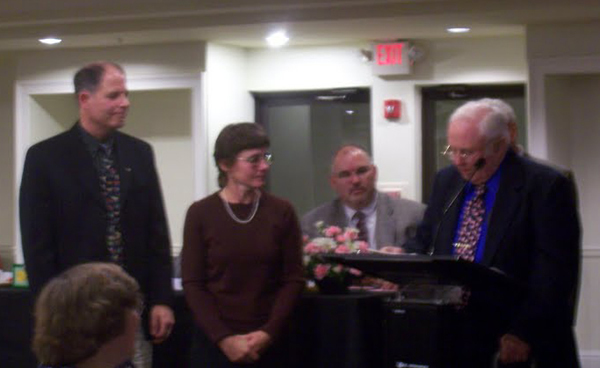 Agriculture Director Ernest Finch and his committee then presented the Outstanding Farmer Award to Maggie Buck of Oxford Grange. 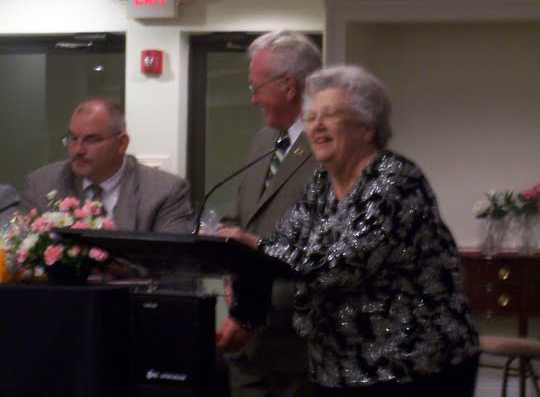 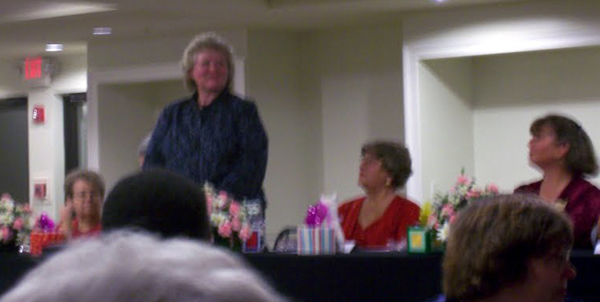 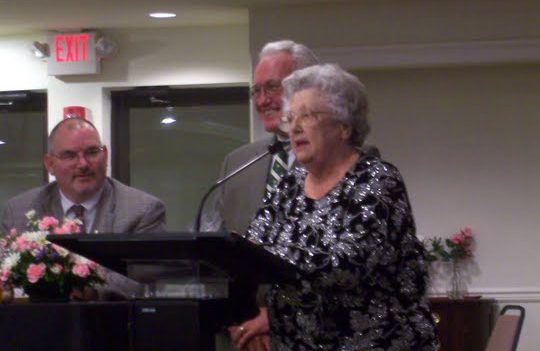 The evening concluded with Women's Activities Director Betty Jane Gardiner announcing the winners of the centerpieces from each table. 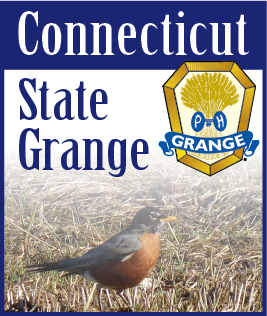 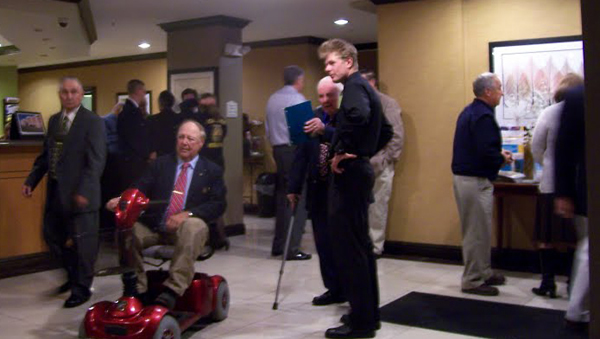 The 125th Annual Session of the Connecticut State Grange will be held October 15, 16, 17, 2009, at the Comfort Inn, 900 East Main Street, Meriden, Connecticut. 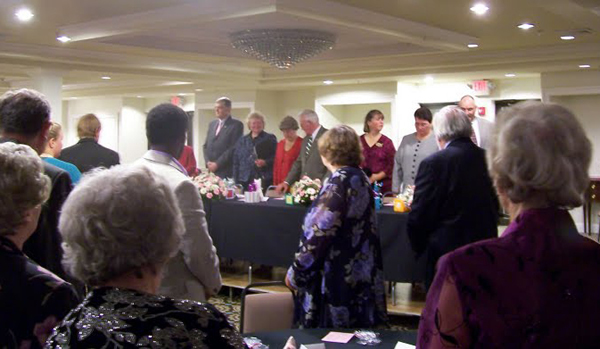 The morning session on Thursday, October 15th will open at 9:00 AM.